As you will have seen from my previous posts, shockingly the sportswear trend is becoming a firm favourite of mine for this Spring/Summer season. 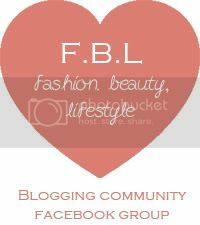 One item that has caught my eye is the heeled hi-top trainers (I realise my last few post have all been about casual shoes, I am still firmly in love with heels too I promise!) 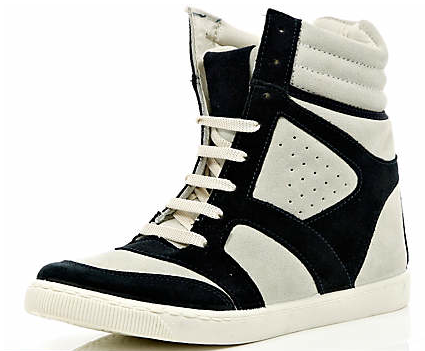 particularly the ones by Isabel Marant. 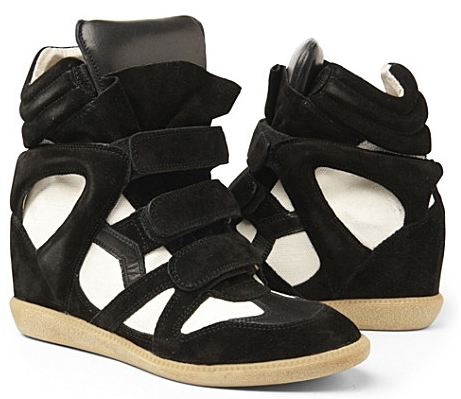 Isabel Marant is safely securing itself as one of my favourite designers!!! 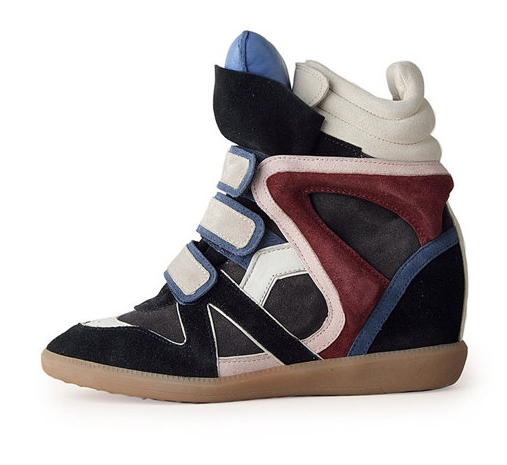 I know a few other designers have brought out some wedged trainers including Marc Jacobs. 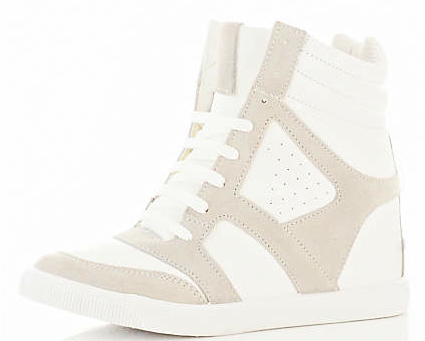 If like mine, your budget cannot stretch to Isabel Marant, then the high-street has some excellent offerings. 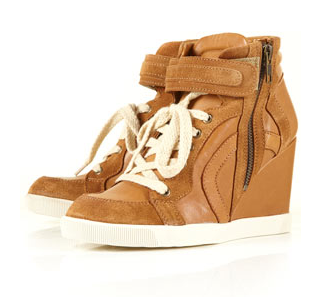 To be honest I prefer the Topshop heeled ones to the Isobel Marant ones. 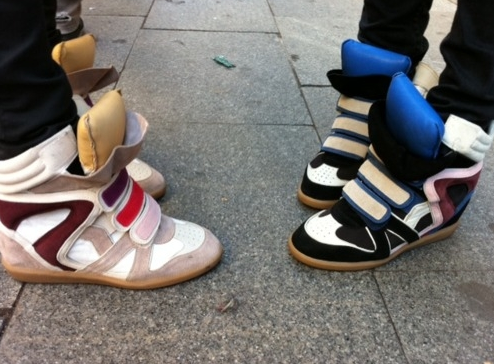 Just seem more wearable.